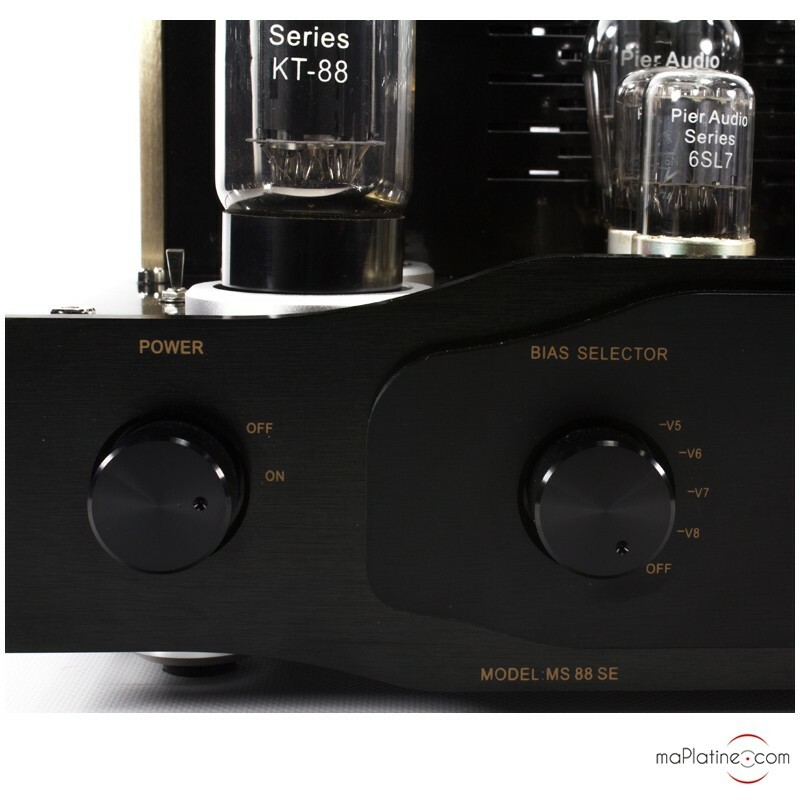 After having made a vacuum tube amplifier equipped with KT66 tubes, the MS-66 SE, the French manufacturer, Pier Audio, is releasing a high end vacuum tube integrated amplifier with the famous “KT88” tetrodes, the MS-88 SE. 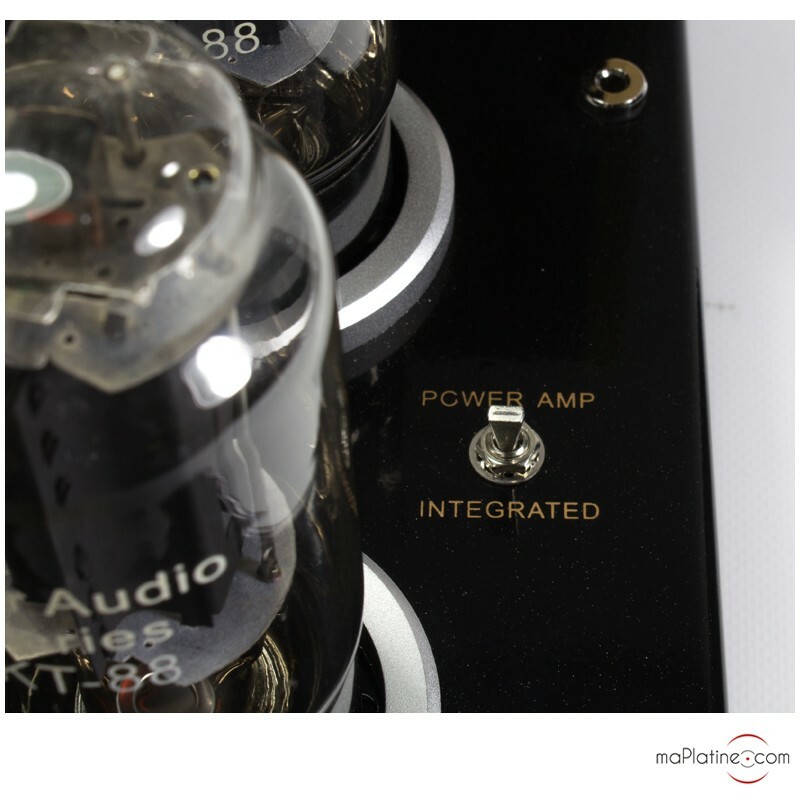 The chassis of the Pier Audio MS-88 SE integrated amplifier is very rigid and robust. 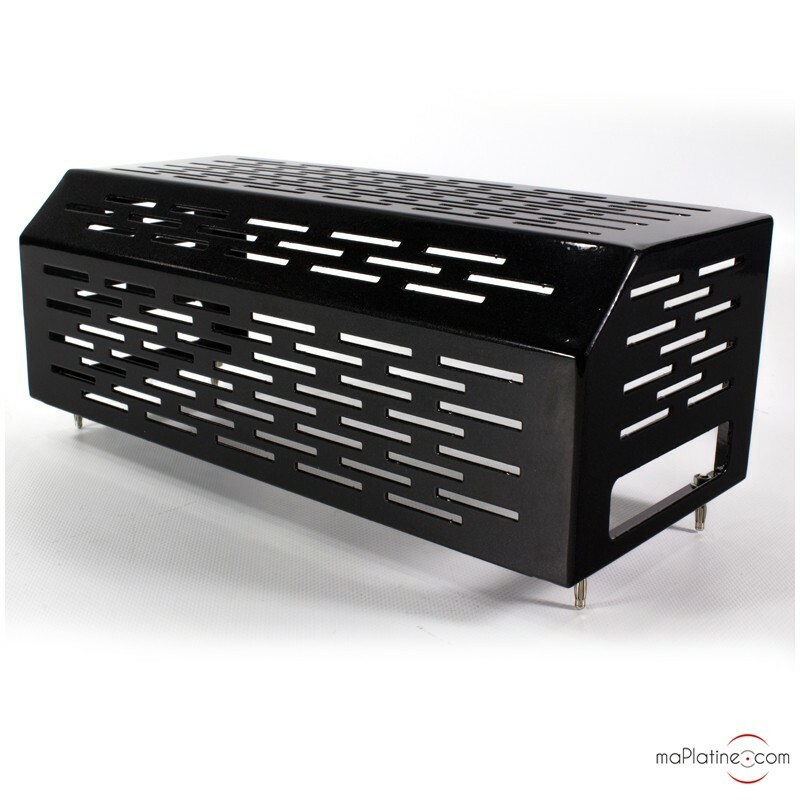 A black metal cage (CE standards) protects the tubes from indelicate hands. Under this cage, there is a KT88 Push-Pull. There are also input, driver, and rectifier tubes (2 x 6SN, 2 x 6SL, 2 x 5Z3PA). 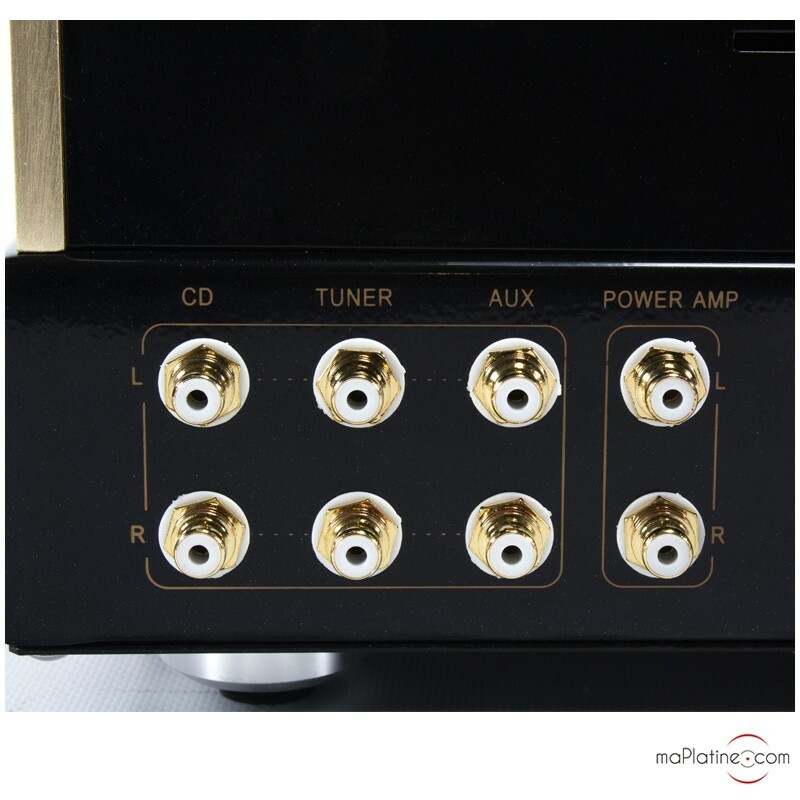 This integrated amplifier has a double mono layout. 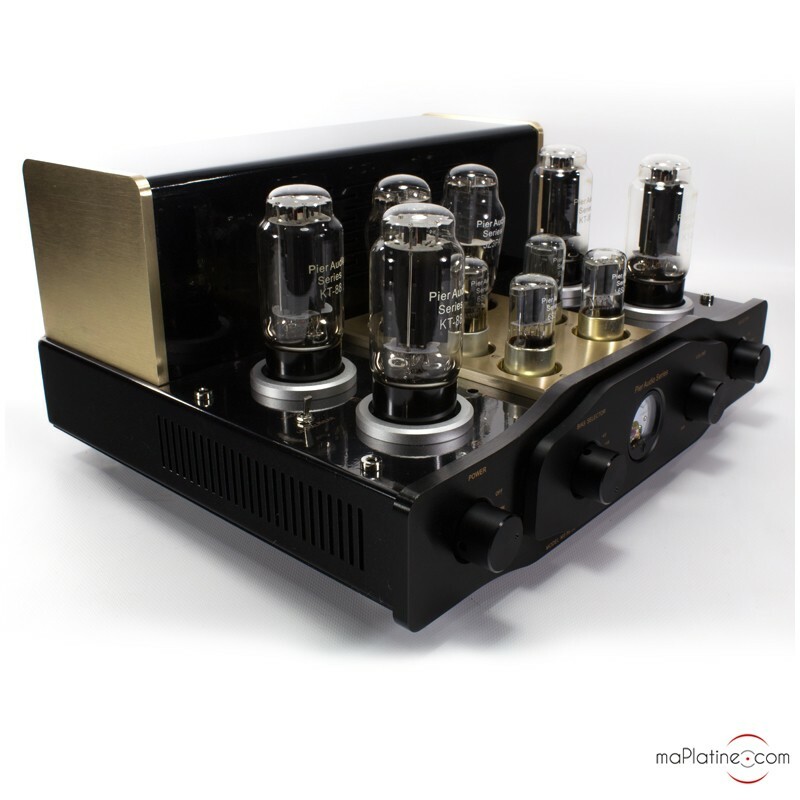 It also does not have has a diodes rectification but a rectification vacuum tube per channel, which is very rare in this range. The front panel includes 4 knobs: one power, one volume, one source selector, and one bias selector. In the centre is a volume unit meter which indicates the polarisation of the selected tube. 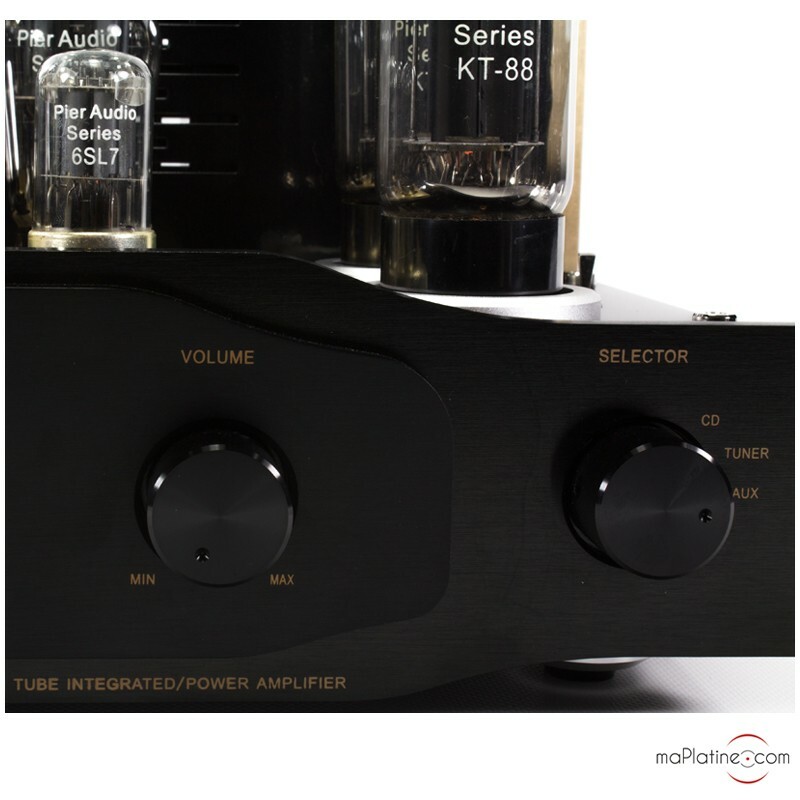 On the top of this integrated amplifier, to the right of the KT88 tubes, there is a toggle switch which is used to select the functioning method of the power Push-Pull. 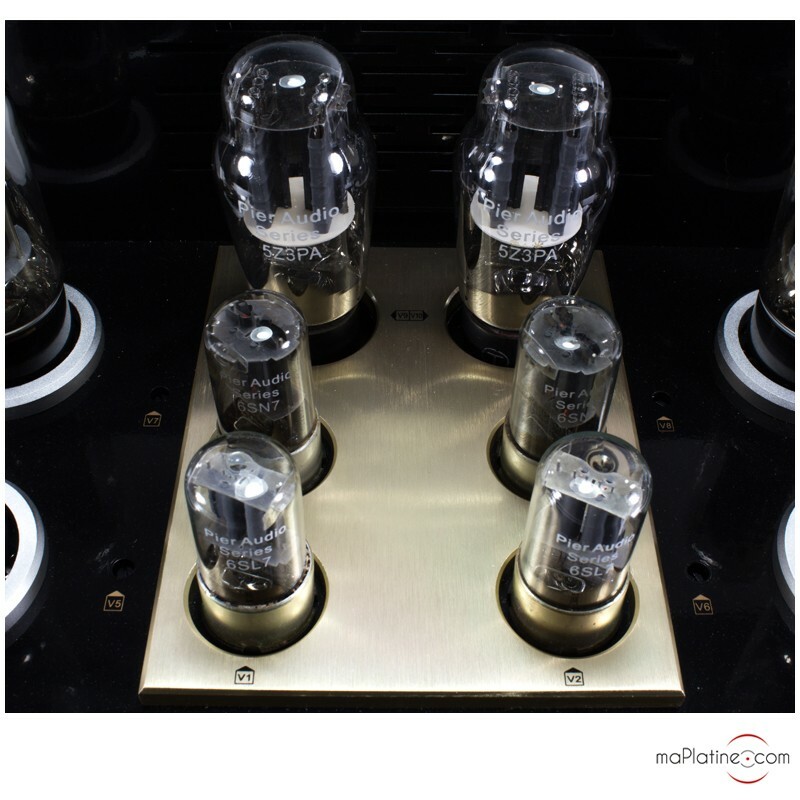 It is possible to choose a 24W pure triode or a 48W ultra linear functioning. 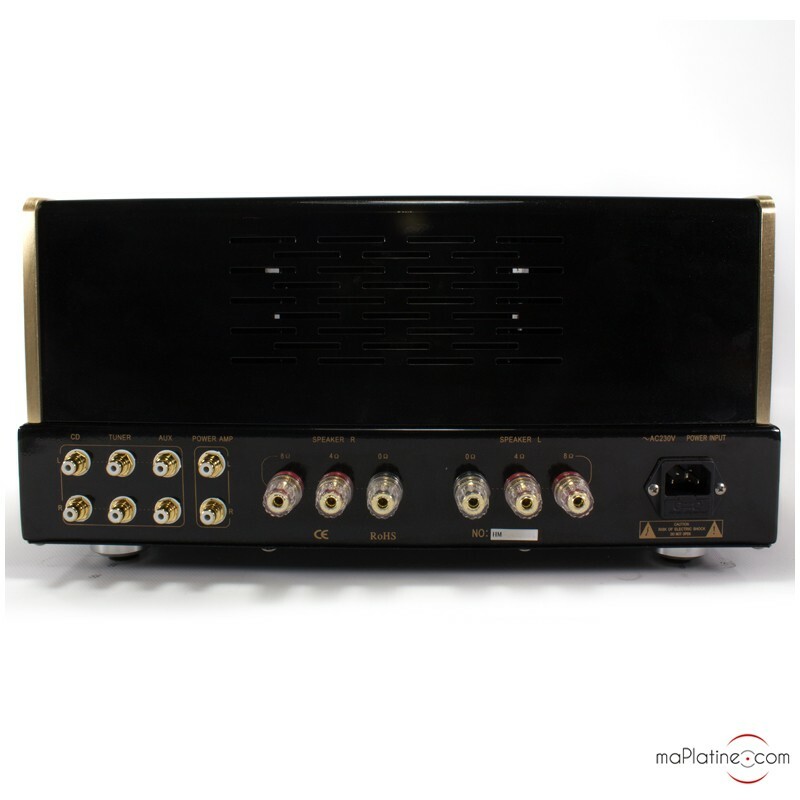 The back of the MS-88 SE has three pairs of high quality RCA’s screwed on the chassis. 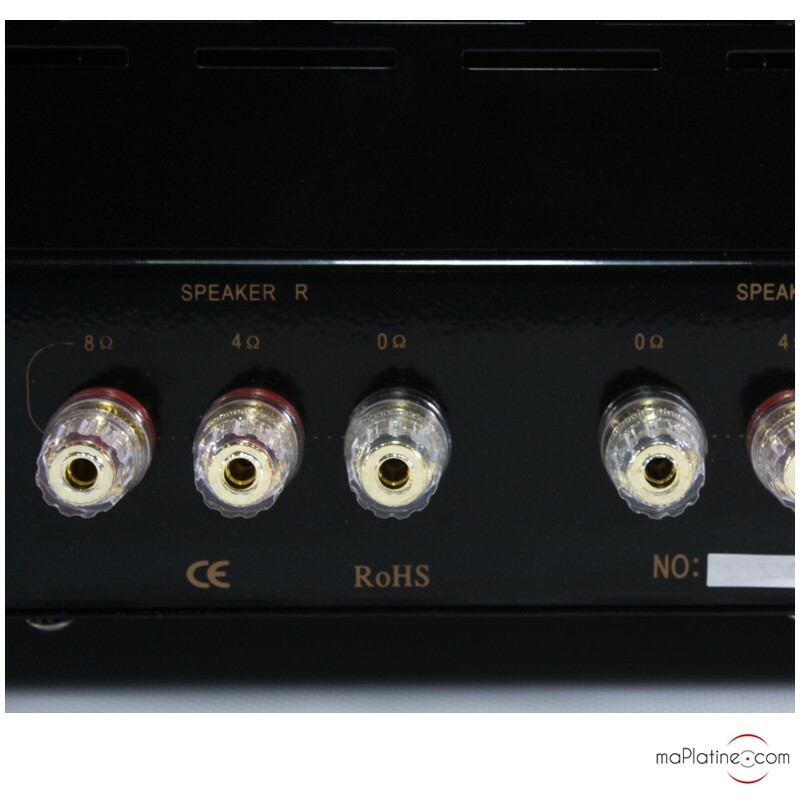 The speaker terminals provide a connection for large section bare wires, banana connectors, or forks. 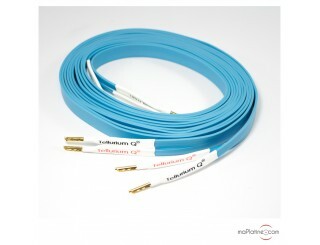 They offer a 4 or 8 ohms connection. 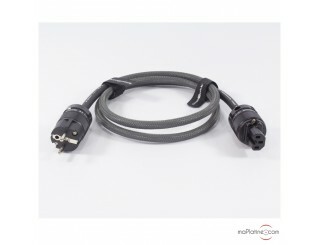 The IEC power input enables to connect a high quality power cable to this Pier Audio MS-88 SE. 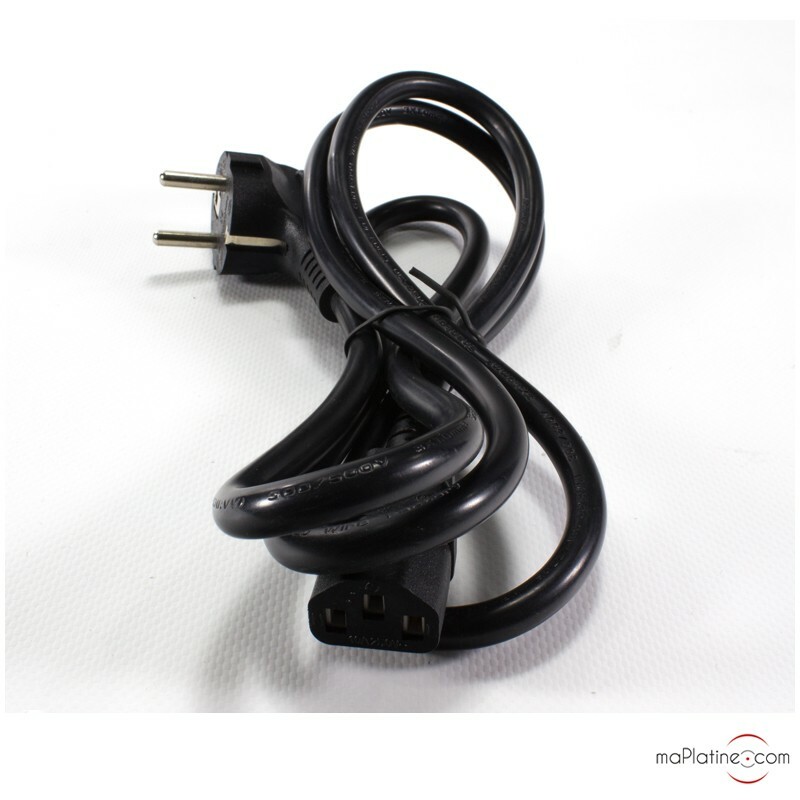 We obtained good results with the Gigawatt LC1-MK3 power cable. 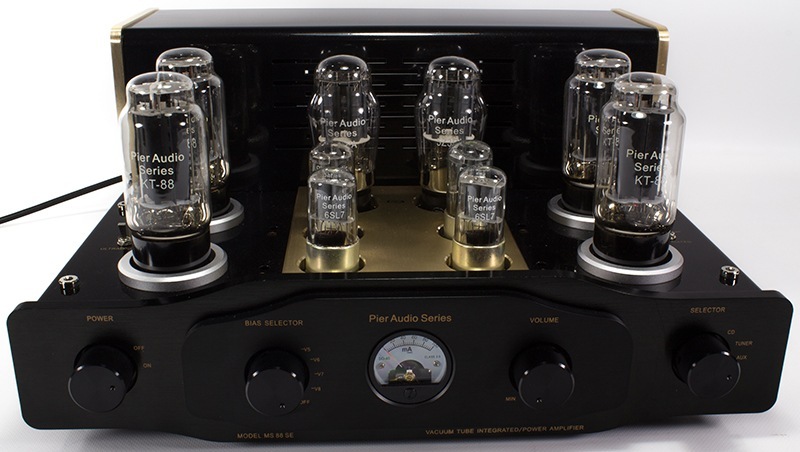 We connected this Pier Audio MS-88 SE integrated amplifier to the Davis Acoustics Cezanne tower speakers and the Focal Sopra 2 tower speakers using Tellurium Q Ultra Blue speaker cables. 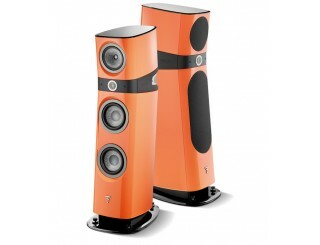 The sound restitution is in accordance with the brand’s philosophy. 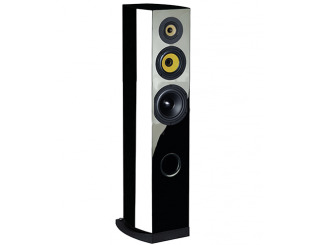 There are all the qualities of the Pier Audio MS-66 SE but with a gain on all the objective and subjective parameters. The space is remarkable in precision and stability. 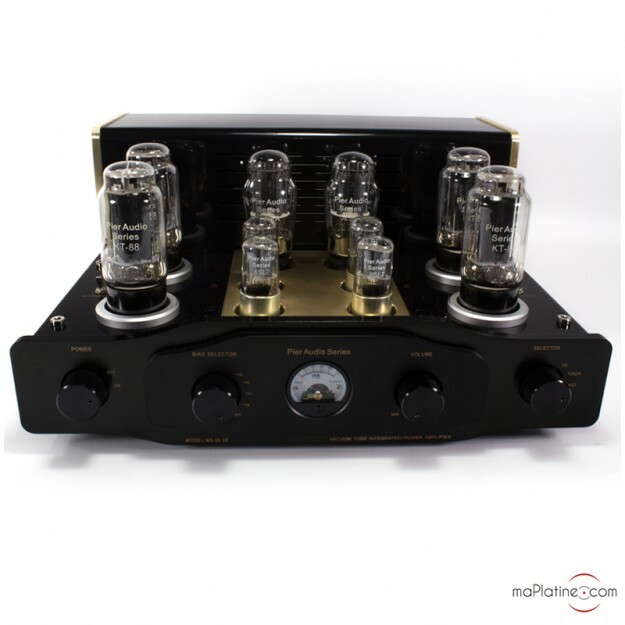 The soundstage is characteristic of excellent tube electronics. It is just as wide as deep, with a superb placement of the voices. The transparency and definition are excellent. We can hear enough detail but the sound is never over defined nor surgical. 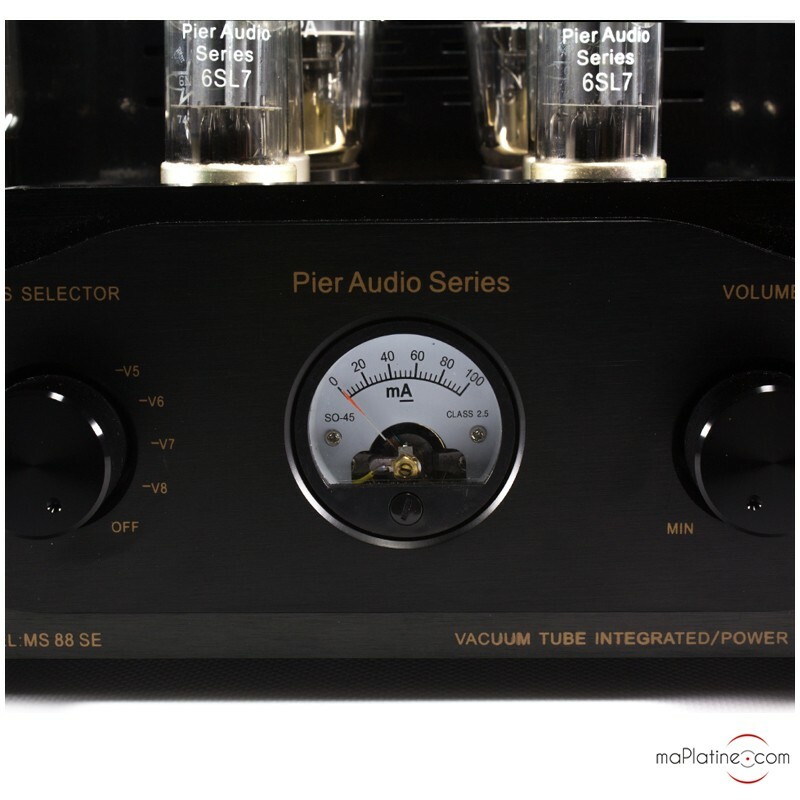 The Pier Audio MS-88 SE favours timbre, substance, and nuance with dynamics and a remarkable control. 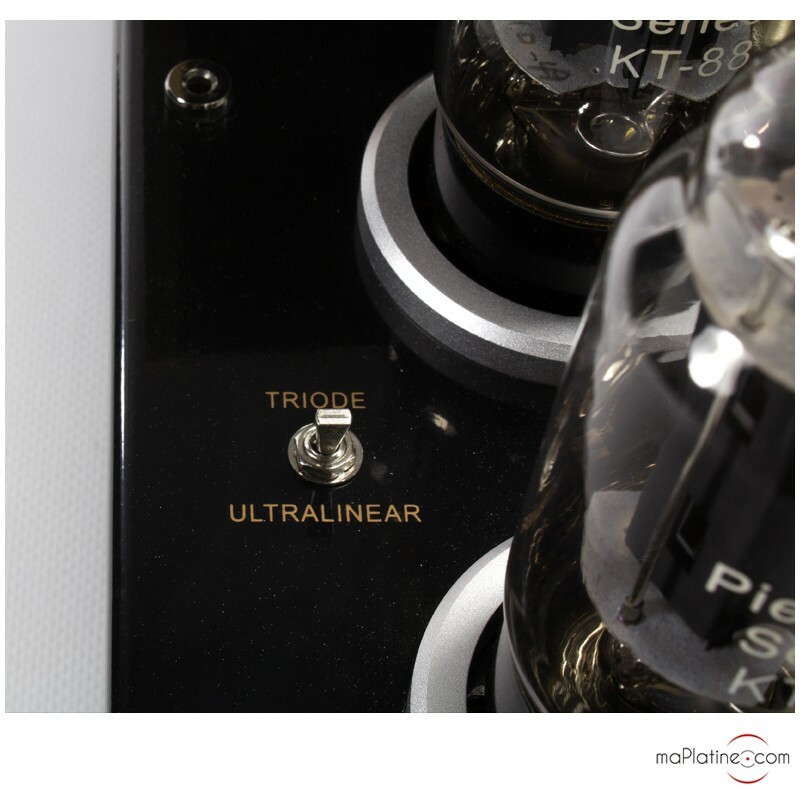 The triode mode on high yield Hi-Fi equipment gives excellent results in terms of richness of timbre and subtlety. 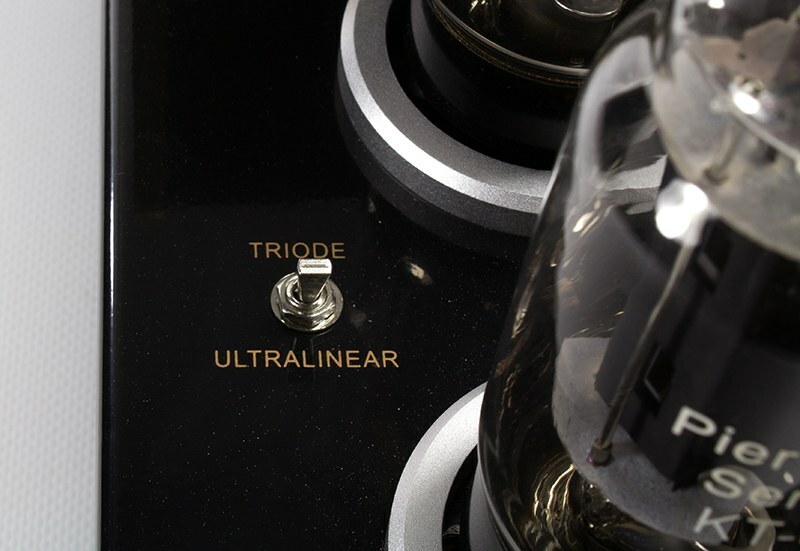 However, on Hi-Fi speakers harder to drive and that have a yield below 94 dB, we preferred the ultra-linear mode which brings a dynamic and a more convincing control like certain electronic devices with prestigious tubes. The Pier Audio MS-88 SE vacuum tube integrated amplifier was for us a true revelation. 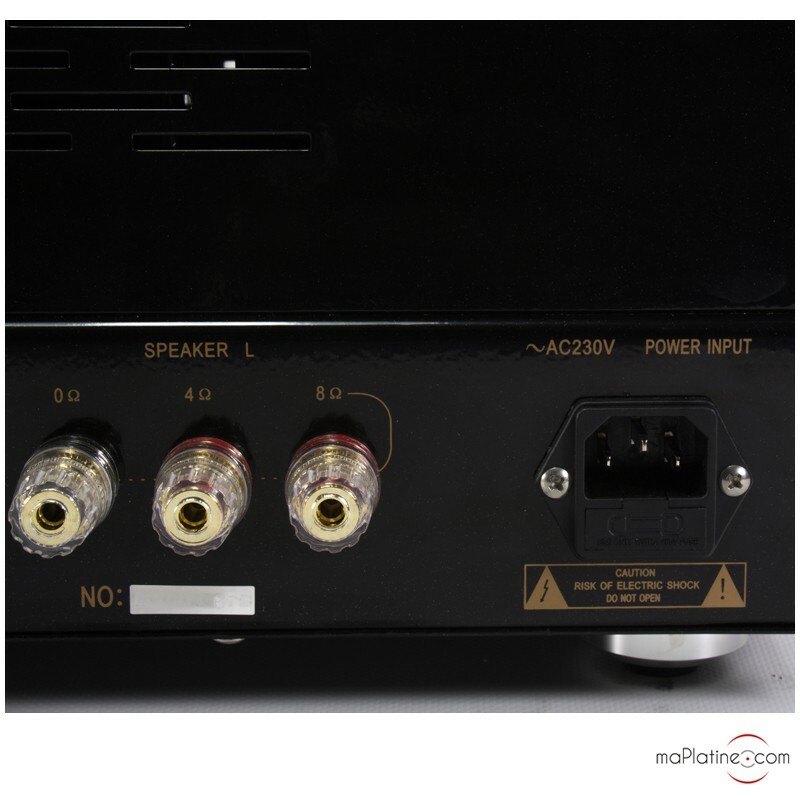 Its power and power supply enable to drive the majority of 2, 3, or 4 way Hi-Fi speakers on the market, even Hi-Fi speakers that are known to be difficult to drive. A remarkable quality/ price ratio!